Lovers of Disney and its adorable Japanese Tsum Tsum range can now get hold of an exclusive line of collectible Disney Tsum Tsum drawers, designed to combine kawaii cuteness and practicality. Six classic Disney characters—Mickey Mouse, Donald Duck, Winnie the Pooh, Stitch, Toy Story’s Lotso and Alien—have been transformed into cute caddies and, much like their stuffed toy and mobile phone game counterparts, can be stacked in any combination to form the ultimate cute gang of 12. For an exclusive period from Wednesday 17 April to 25 June 2019 – shoppers at 7-Eleven, Singapore’s favourite convenience store, will have the chance to redeem a drawer when they collect 20 stamps. The whimsical Disney Tsum Tsum is the range of Japanese stuffed toys based upon Disney-owned characters and loved around the world for its unique mix of charming design, Japanese aesthetic and collectability. The name comes from the Japanese verb tsumu which means “to stack” because the rectangle-shaped toys are designed to stack on top of each other. 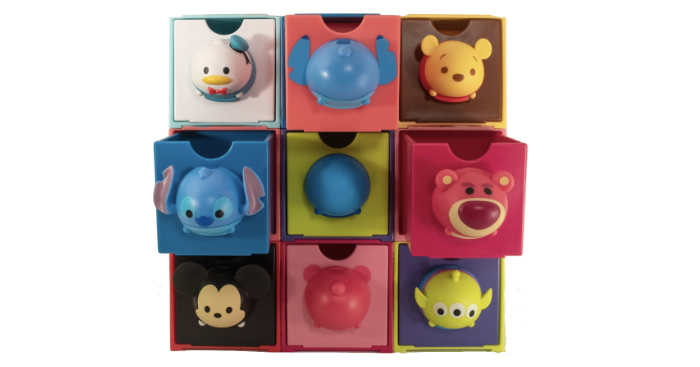 Each drawer in the collectible set features the head or bottom of a Tsum Tsum and a three-dimensional Tsum Tsum knob. These adorable drawers can also be transformed into fully-fledged Tsum Tsums. By removing the knob with a simple turn of the hand, the head and bottom of Mickey or Donald become a whole. The drawers are delightful, indeed, but also practical. Highlighting its thoughtful design, each drawer has a finger-sized slot that allows grown-ups and kids alike to pull it out with ease. And when stacked on top of each other, grooves found on their corners secure the Tsum Tsum units together, locking them in place. Of course, the drawers can serve as a container for precious items like toys, jewellery, stationery, and snacks! All stamp card comes with a running serial number. The serial numbers are printed on the stamp card and the perforated slip. Upon redemption of prize, customer must retain the perforated slip with the serial numbers, to prove authenticity. 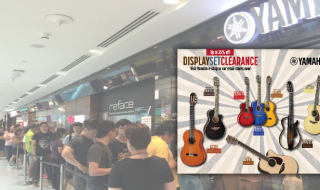 One redemption equals one lucky draw opportunity. Winner announcements are published on 7-Eleven Facebook page on bi-weekly basis with serial numbers only. 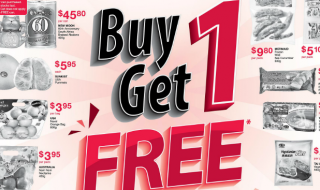 For more information, customer can check the 7-Eleven website or FB for details nearing to date. The 7-Eleven Disney Tsum Tsum promo runs from 17 April to 25 June 2019. 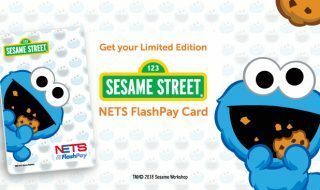 This limited edition Cookie Monster NETS FlashPay card is every Sesame Street Fan’s dream come true! Available from 8 November 2018. Midnight rides just got cheaper! 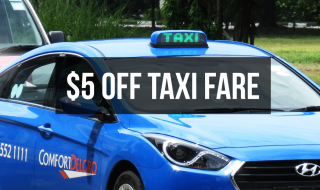 From 18 – 24 Apr, enjoy $5 off your ComfortDelGro taxi fare with this promo code!